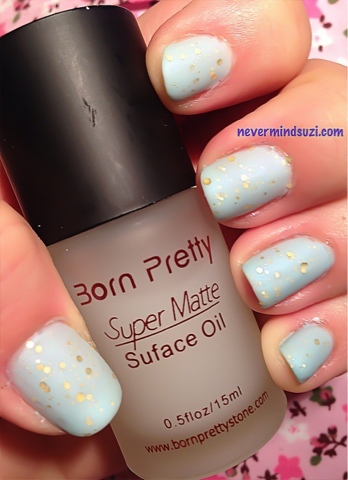 Drop Your Sword is a soft milky blue full of delicate gold glitters. I've popped 2 coats over 2 coats of Sinful Colors - Cinderella (which I'm so pleased to have finally gotten my hands on). 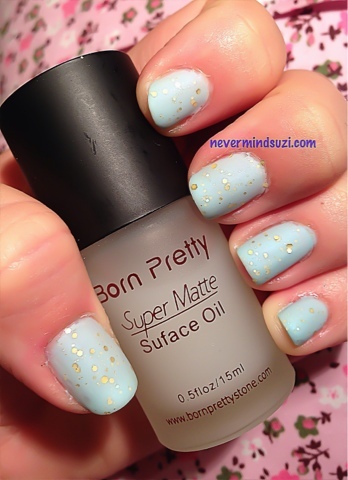 And I'm still on my matte topcoat phase so here's a few pics using the Born Pretty version.